Organised : 2nd International Conference | Cancer Research Project - Ayurved Hospital and Research Center - Bharatiya Sanskriti Darshan Trust . :Ayurveda for Cancer:. In the journey of Cancer Research Project it was felt that there is a need of common platform where the worldwide experts working in the field of Cancer should come together and share there valuable views on this crucial issue, where the experience, knowledge, opinions will be discussed with a common interest i.e. improving quality of life and life span of Cancer patients. 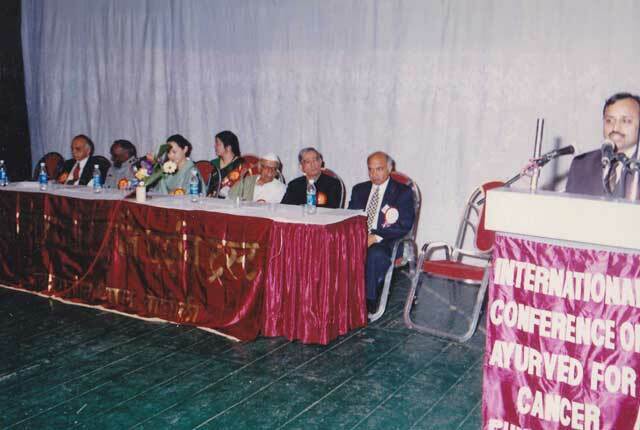 To fulfill this need Dr. S. P. Sardeshmukh organised International Conferences on ‘Ayurved for Cancer’ which are held regularly every 5 years from December 1997. 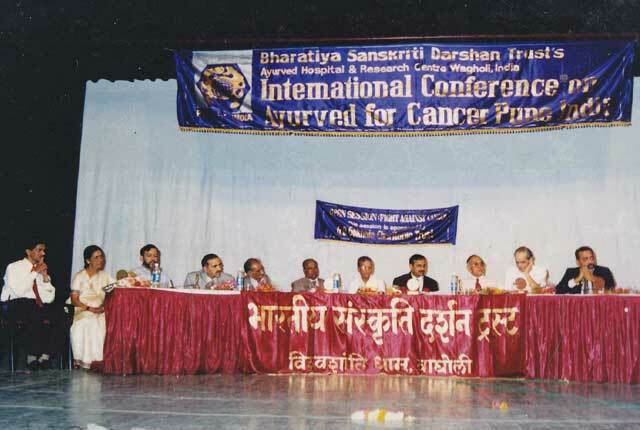 After the encouraging feedback about the first conference on Ayurved for Cancer, held on the 6th, 7th December 1997, where Oncologist from Australia, Japan and America participant, B. S. D. T. organized the second conference on the 9th & 10th of February 2002, at Balgandharva Rang mandir, Pune. Dr. Arvind Kulkarni and Vd. S. P. Sardeshmukh presided over the function and Vd Prashant Suru co- ordinater the function. 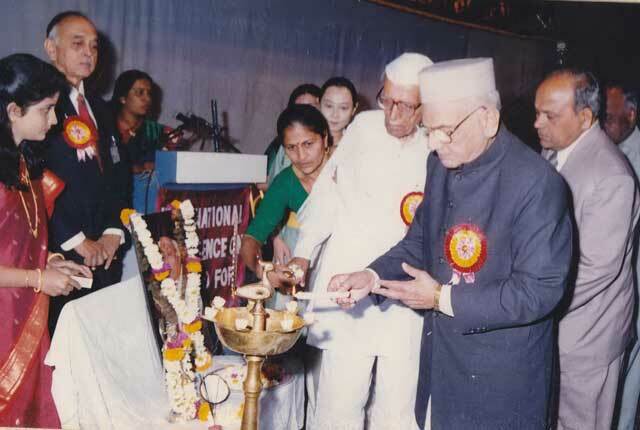 The conference was inaugurates by Vd. Shriramji Sharma discussed about the changing life style, its bad effects which had to bad health and dreadful illnesses like Cancer & Aids. He therefore suggested that if one follows a life style in the Ayurvedic way one could maintain a good health and keep away from illness. 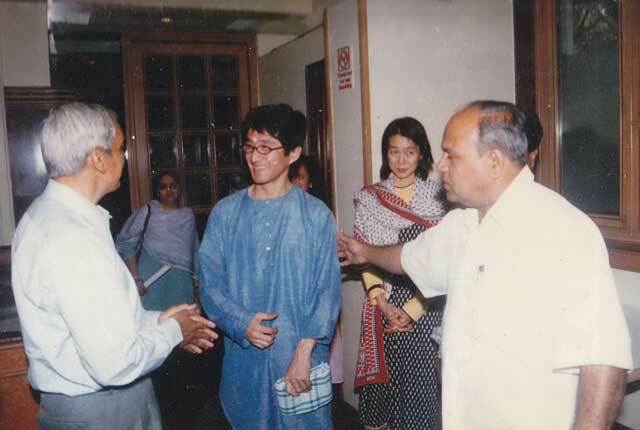 Padmabhushan Shri. Balasheb Bharade, Trustee, Bharatiya Sanskriti Darshan Trust said that, “The patients’ relief from illness should be the ultimate aim of any pathy”. Therefore practioners of Allopathy, Ayurved and all other pathies known, should come together and work toward this goal. 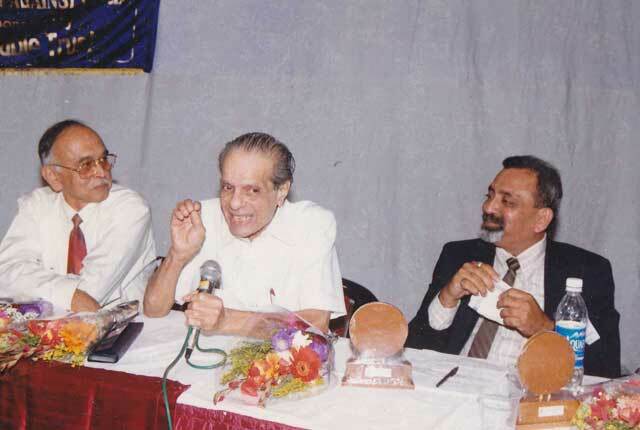 A Book `Ashwasana’ which has compiled research papers presented in this Conference, was inaugurated by Advocate C. R. Dalvi, Trustee of Bharatiya Sanskriti Darshan Trust. 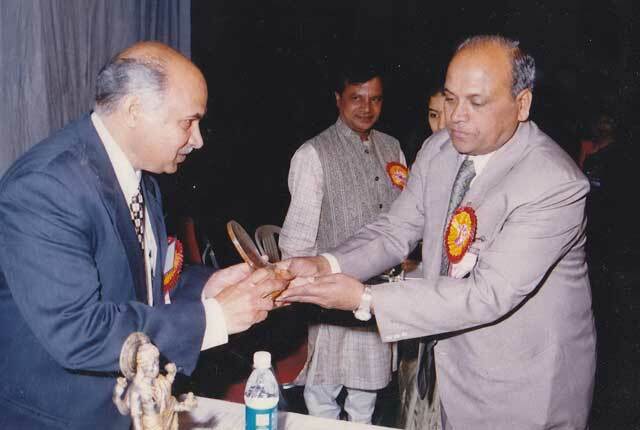 Dr. R. R. Padmawar, Director of Maharashtra State Ayurved Branch, was the chief guest. The Vishwashanti Vrittant monthly newsletter published by the trust was released by Dr. Padmawar. The fuction was co- ordinated by Vd. Prashant Suru. 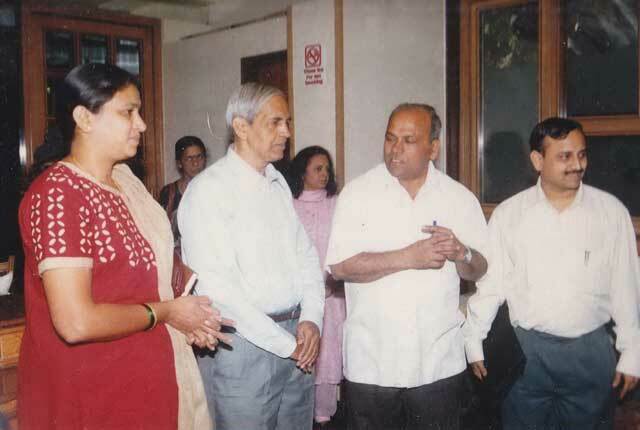 An exhibition on ‘Cancer- Ayurved’ was held in the same premises. 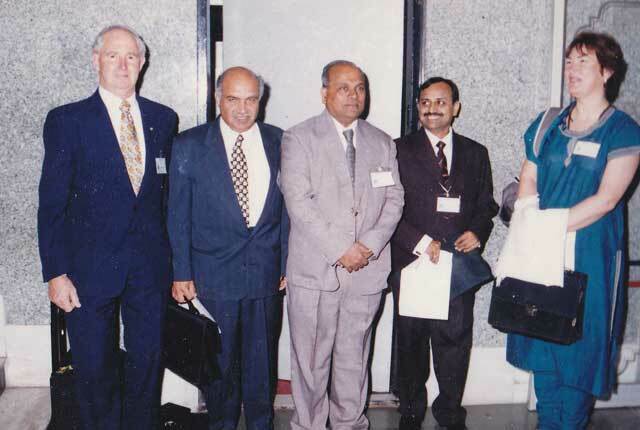 This exhibition was inaugurated by Dr. Krishna Kumar from Australia. Settled in Australia for more than twenty years, he is chief of `Australian School of Ayurved’ and ‘Natural Medicine’. In the exhibition ‘Cancer – Ayurved’, about 100 charts were displaying on topics showing causes, symptoms, treatment, diet etc. These charts proved to be of immense value to spectators in terms of the guidelines to be followed for healthy life. 6 essays on Cancer were presented. Vd. Prashant Suru co-ordinated this session. The session proved to be informative. Dr. Arvind Kulkarni expressed that modern medicine have their benefits and limitations and this should be explained to the practitioner. 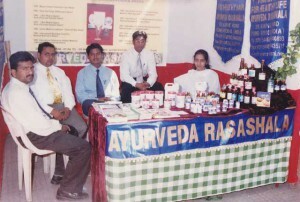 Ayurved helps to give some relief to the Cancer patients. Dr. Bawdekar, orthopedic physician & surgeon, explained that, living against nature has been causing Cancer and the Aurvedic way of life is healthy. Growing pollution, fast food, artificial colors, preservatives etc. are a cause of Cancer. Dr. Kumthekar explained that a nutritious diet will help to keep away from Cancer. Vd. S. P. Sardeshmukh explained that Cancer is not listed in Ayurved by the name but using the treatment of similar conditions mentioned in Ayurveda helps to give relief to the patients On 10th February, 16 research papers were presented. Bharatiya Sanskriti Darshan Trust’s Ayurved Hospital & Research Center presented 11 research papers. Thereafter patients enrolled in the research project shared their experiences. Taking Ayurvdic medicines along with modern therapies helped to live a satisfactory life and that they manage to do all their daily duties, was express by the patients.